Contact Illinois Engraving & Mfg. Co. online to request a quote. 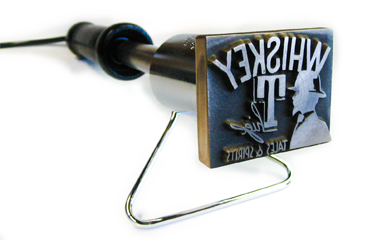 Custom Machined Branding Tools and Engraved Branding Dies in a variety of sizes and wattages. 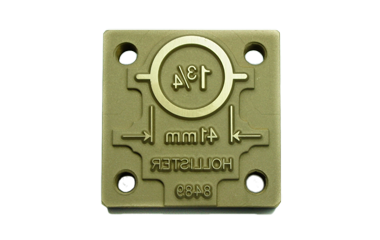 Your steel stamps will be machined and ground per your exact specifications. 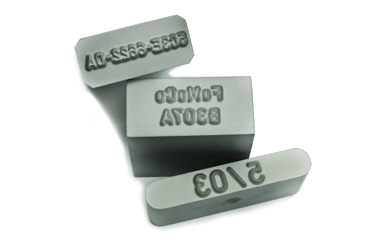 We provides Hot Stamping Dies reproduced from artwork, drawings or instruct, in a variety of materials. Custom molds and mold inserts for plastic, die casting, rubber and glass. Combine letter and/or figure series for marking serial numbers, dates, or part numbers in one easy stroke with perfect alignment. Learn how we use CNC technology to help you make your best impression. Illinois Engraving specializes in custom engraved steel stamps, embossing dies, type, mold engraving, engraved carbon electrodes, close tolerance precision 2D & 3D engraving, branding dies, branders, and CNC machining. Illinois Engraving is proud of our 85 years of engraving service under the same family management. Today, we employ the latest in engraving technologies including CAD/CAM, CNC, and Plunge EDM to expedite your order quickly and accurately. Request a quote by phone from our experienced and courteous staff.